Belarus (Belarusian: ?????????) is a country in eastern Europe with 9.5 million inhabitants. It's bordered to the west by Poland, to the south by Ukraine, to the north by Lithuania and Latvia, and to the east by Russia. The regions (oblasts) of Belarus provide no real guidance for a tourist. These divisions are of purely administrative nature, were created less than a century ago and have very little to do with historical, cultural or ethnographic matters. 1 Minsk (Belarusian Cyrillic: ?????) — the Belarusian capital and largest city, with over 2 million inhabitants. 2 Brest (?????) — regional capital on the Polish border with impressive architectural sights. 3 Polotsk (?????? ?, Po?ack) — the oldest Belarusian city, notable for interesting buildings. 4 Gomel (??????) — also called Homel, is the second largest city in Belarus; located in the east. 5 Grodno (????? ?, Hrodna) — city close to the Polish and Lithuanian borders. 6 Mogilev (???????) — also called Mahiljou and Mahilyow, third largest city in Belarus. 7 Nesvizh (?????? ?, Njasvizh or Nyasvizh) — with a UNESCO listed castle. 8 Vitebsk (????????) — fourth largest city in Belarus. Originally part of Kievan Rus, Belarus was part of the Polish-Lithuanian Commonwealth until the Polish Partitions in the 18th century. After over a hundred years of Russian rule followed by seven decades as a constituent republic of the USSR that were interrupted by a brutal Nazi occupation sandwiched in between years of Stalinist terror, Belarus attained its independence in 1991. However, under authoritarian rule, it has retained closer political and economic ties to Russia than any of the other former Soviet republics. Belarus and Russia signed a treaty on a two-state union on 8 December 1999, envisioning greater political and economic integration. Although Belarus agreed to a framework to carry out the accord, there has been little movement to implement it. The economy is mostly dependent on Russia, and the Belarusian government has taken a vitriolic, anti-Western stance. The country has not seen much structural reform in the past few years. Political and journalistic activity is tightly controlled. Belarus is a relatively small country that covers a total area of 207,600 km² and is slightly smaller than the United Kingdom. The maximum distance from west to east is 560 km, while 650 km is the max distance from north to south. The country has over 11,000 lakes and a total of 91,000 km of rivers with significant areas of marshland. There are five major rivers in Belarus: the Nieman, the Dnieper, Sozh, Berazhina and the Pripyat. The latter flows towards the site of the former nuclear complex of Chernobyl (Ukraine), the scene of the nuclear catastrophe in 1986. Approximately one-fifth of Belarus's territory continues to be affected by fallout. About 40% of the country's landscape is covered by forests. Most of the country is flat and has vast areas of rolling countryside, but the highest point is Dzyarzhynskaya Hara at 334 m.
Citizens of the following countries do not need a visa: Armenia, Azerbaijan, Brazil, Cuba, Ecuador, Georgia, Israel, Kazakhstan, Kyrgyzstan, Macau, Moldova, Mongolia, Montenegro, North Macedonia, Qatar, Russia, Serbia, Tajikistan, Turkey, Ukraine, Uzbekistan, Venezuela. In case of any change, consult the up-to-date list of visa-exempt countries. they have cash or proof of funds of at least 25€ per day of stay (not enforced for travelers from developed countries). Visa-free entry is not granted to holders of diplomatic, service or special passports and to travelers flying to Minsk from Russia or flying from Minsk to Russia. These flights are considered domestic because of the absence of border control between Belarus and Russia. Citizens of Vietnam, Haiti, Gambia, Honduras, India, China, Lebanon, Namibia, Samoa must also have a valid multi-entry visa to one of the EU countries or to the Schengen Area. They also have to produce a stamp that they used this visa to enter the EU, as well as return flight tickets from Minsk before the visa-free period expires. Arrival and departure days are each considered as full days, that is if you entered the passport control at 23:59, this day will be counted as a full day. 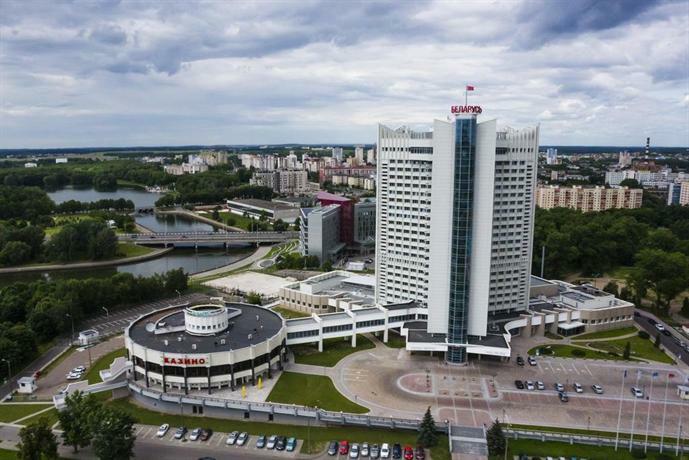 Foreigners can also travel visa-free for 10 days to a visa-free zones in Brest and Grodno, provided they obtained a permission from a travel agency. See this page for details. Foreigners can also travel visa-free for 3 days to Belovezhskaya Pushcha National Park in western Belarus. To do this, you should "book tourism services" in advance and fill in a online form, after which a simplified visa will be sent to you by e-mail. Bring a printout of the visa and a passport and enter the Park from Poland through the Pererov-Belovezha border checkpoint. If your stay is longer than five days, you must register with the local Migration and Citizenship Department (Belarusian - ??????????? ?? ???????? ? ????????????? ; Russian - ??????????? ?? ??????????? ? ????????) within five business days. If you are staying in a hotel, this will be arranged by the hotel. A card, evidence of your registration, must be held until you leave the country. As of 2 January 2019, the mandatory registration can be done online for free. The exception is those who arrived in Belarus from Russia (due to the lack of immigration control between the two countries). Please see a step-by-step instruction in Russian. Alternatively, the registration can be done on the same portal by the Belarusian resident hosting a foreign visitor. To extend the registration, foreign citizens must visit the local Migration and Citizenship Department in person. Visitors who arrived from Russia or who did not manage to complete the mandatory registration online should do it the local Migration and Citizenship Department in person. You will be required to fill an application form (see ????????? ? ??????????? ???????????? ?????????? (???? ??? ???????????) (a copy can be obtained from the Department office as well); present your passport or other document used for entering Belarus, a copy of the medical insurance and the payment receipt. A medical insurance document required for mandatory registration (unless the registration is completed online) must be in Belarusian or Russian, or translated into one of those languages by a licenced translator. This makes purchasing local medical insurance a simpler and cheaper option if your trip is short. The insurance can also be arranged at any office of Belgosstrakh, a state insurance company. The registration fee is BYN25.50 (January 2019). Payment can be arranged via ???? self-service kiosks in shops, Metro stations and many other venues. Any branch of the state-owned Belarusbank will be able to assist with this payment too. It is worth using the bank assistance as the process is not straightforward. Foreign bank cards are not be accepted for these payments. It is common to visit the Migration and Citizenship Department office to collect the application form and bank details for fee payment first; then arrange the payment and - if necessary - insurance, and return to the office to complete registration. Allow several hours for all the procedures. 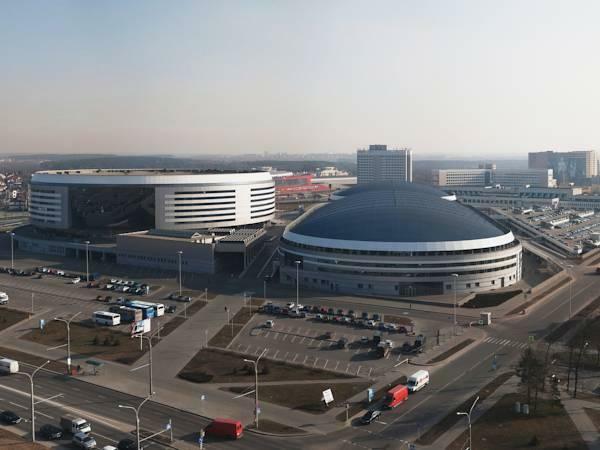 Belarusian visas can be obtained at Minsk National Airport (MSQ IATA) by nationals of countries with no consular offices of the Republic of Belarus for €90 or for €180 for citizens of countries with a Belarusian consulate. Standard documents including a letter of invitation have to be provided in advance. See Particulars of issuance of entry visas at the «National Airport Minsk». You can apply for a visa at a Belarusian Consulate or Embassy. The list can be found on the Foreign Affairs Ministry website. Visas can be valid for one, two, three, or unlimited entries. They are to be used within the period indicated therein. A visa will take a full page of your passport so make sure you have at least one page free. Tourist visa fees are approximately €60 for all categories of visa, for processing in 5 business days, or double the price for a 2 business day turnaround. Fees change so check with your local embassy for the current costs. Japanese and Serbian passport holders are exempted from visa fees. In order to get a visa you will also need a passport and an invitation, other papers depending on the type of visa you apply for. There is a compulsory state medical insurance for visitors to Belarus if you do have a policy valid in Belarus. It is preferable to buy this from a Belarusian company, and its costs USD1 per day of stay. To get a Belarusian business visa a foreigner has to present an invitation of any Belarusian legal entity officially registered in the Republic of Belarus. The invitation is to be written on letterhead paper and should contain name, personal and passport details as well as purpose and duration of visit. The invitation is to be signed and bear official seal of the inviting organization. Embassies or consulates (with the exception of Consular office at the National airport) can often accept invitations received by fax. Multiple business visa is obtainable against payment of USD300 from Ministry of Foreign Affairs, Consular department upon presentation of all required documents (contact phone + 375 17 222 26 61). To get a short-term visa for private purposes (visiting Belarusian relatives, friends, other private matters) with a validity of 30 days, maximum for 1-, 2- or multiple entries for citizens of the EU as well as nationals of several other countries, such as Australia, Andorra, Argentina, Bahrain, Brazil, Canada, Croatia, Chile, Iceland, Israel, Norway, Swiss Confederation, Republic of Korea, New Zealand, Uruguay, Republic of South Africa and Japan, no visa support documents shall be required (letter of invitation etc. documents). 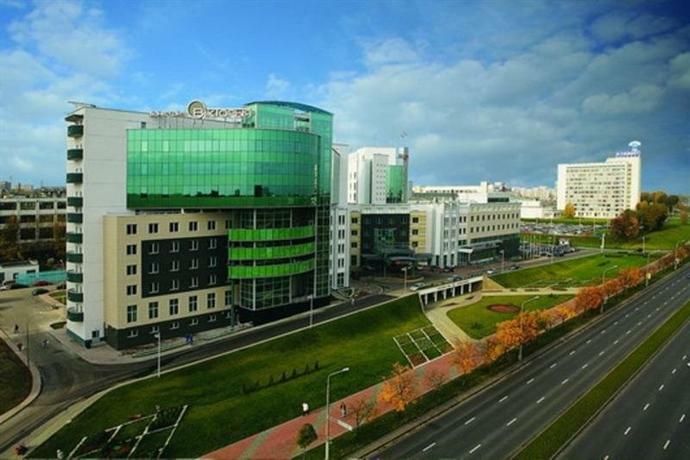 Short term visas are available from Minsk airport, consulates and embassies. To get a visa for private purposes a foreigner who is planning to stay in the country for more than 30 days has to present the invitation issued for a Belarusian resident by his citizenship and migration office. The original invitation should be handed over to the embassy/consulate or Consular office at the National airport in this case, any fax or photocopy is excluded. Multiple private visa is issued upon presentation of the original invitation to foreigners, visiting their close relatives. Very often Belarusian consulates grant private visas to the nationals of migration secure countries without any invitation papers. Applying for a Visa for Belarus can be a very customer unfriendly experience. If you cannot apply for a visa in person, you SHOULD use the help of a Visa Processing Agency even though it will involve additional fees. It is common that someone follows all application protocols for getting a visa but still gets denied due to a small technical error, such as a problem with the form of money order or a slight error in a filling out a form. Communication with the embassies/consulates in Kensington (London, England), Vilnius (Lithuania), Moscow (Russia) can be poor especially by e-mail, post and via telephone. In addition, there have been reports of e-mail queries going unanswered and express Visa applications not being processed in the 48 hour period. They may call you with an update on an application but the communication can be poor or unclear with the caller not identifying themselves. In case of emergency such as hospitalization, it is possible to extend a visa or the visa-free stay upon the request to a local Migration office. An exit visa should be issued and a traveler will be allowed to leave the country through any border checkpoint by road, railway, or air. If needed, private or business visas can be extended up to 90 days by the Minsk city citizenship and migration office (contact phone + 375 17 231-3809) or Regional citizenship and migration office in Hrodna, Brest, Minsk, Mahilyou, Homel upon presentation of all the required documents. If you have an expired visa, an exit permit will be required to leave the country. They are issued by Minsk city passport and visa office or Regional passport and visa offices in Hrodna, Brest, Minsk, Mogilev, Homel. Several European airlines have flights to Minsk National Airport, approximately 40 km from Minsk, including Belavia, Lufthansa, Austrian Airlines, Lot Polish Airlines, Air Baltic, and Czech Airlines. The only national airline, Belavia offers competitively-priced direct flights. 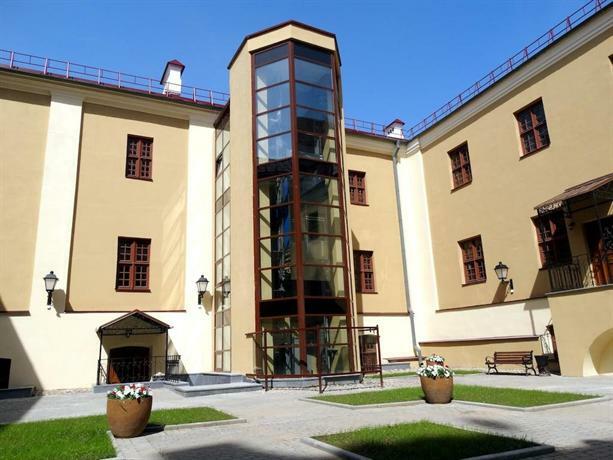 Flights to/from Vilnius costs as low as €40 and little advance purchase is required. Timetable information is available here: Deutsche Bahn (DB), Polish trains PKP (English), Commonwealth of independent states (CIS) trains, Latvian trains 1, Latvian trains 2, Lithuanian train timetables, Trains and bus timetables in Baltic countries, Belarusian railway timetable or Estonian train timetable. You can take a local train between the two corresponding border towns. The Vilnius<->Minsk takes 2.5 hours. You can buy the ticket online. Don't forget to enable the electronic registration, otherwise you'd still have to visit the ticket booth to acquire the ticket itself (if traveling from Vilnius, this may even not be possible!). Try not to book the trains that go to Russia since they are slower and don't always have the electronic registration option. There is no direct train from Estonia, but via track Tallin-Tartu-Valga/Valka (Valga/Valka is city at the Estonian/Latvian border). There are a few trains that go to Riga. The name of the train station in Valka is Lugazi. Passport controls happen in the train itself. In the get in to Belarus direction, they happen typically even before the train leaves the station in Poland. Customs controls happen in a room of the train station in the Belarus train station. You are most likely to have a short chat with a customs officer - the system of green (nothing to declare) and red (something to declare) streams and random checks of suspicious looking people in the green stream - everyone is presumed to be suspicious. In practice, the rules seem to be fairly standard - declare expensive goods, you can import/export a small quantity of alcohol, cigarettes, computer equipment for personal use. However, the formal content of the customs form asks whether you are carrying any publications. So if you have, e.g. a foreign passport, are carrying do-it-yourself-colour-revolution materials and you have that subversive look about you, then you will probably be giving the customs people a legal reason to detain you and/or deport you. Warning: the customs room in the train station where you exit Belarus may be difficult to find (especially if you walk around the station rather casually and your Cyrillic is weak) and it closes a long time before the train leaves; if you arrive only 10 minutes before the train leaves, you will be refused customs control and access to the train. Customs may also be carried out at the border while on the train. It adds over an hour to the trip, but other than that, the officials are efficient and friendly. In Brest, you can safely board the train to Poland directly without passing the customs (they will be performed at the border). At the Terespol/Brest crossing, there are about six different controls. The Polish side seems to work quite slowly. Being on the outer border of the European Union, they check for stolen cars and wanted criminals. After crossing the bridge over river Bug and getting on the Belarusian side, one has to show passports and gets a piece of paper with the car's registration mark on it. Then one goes to either green or red channel depending on whether a customs control is needed. In the green channel one has to complete two checks, the completion of each check is recorded on the paper received on entering the Belarusian side. First passport, visa, and migration card checks are done by an officer who comes towards your car. They also check medical insurance and it is quite likely you will be forced to purchase the state compulsory medical insurance at the border for €1 per day of stay. Second is the transport/car check, for which one needs to go to a special window towards the end of the customs area. You will be required to produce a "green card" (proof of insurance) valid for Belarus, or will have to purchase car insurance at the border for €1 per day of stay. You will also get another piece of paper with your car registration mark. You will need to show this one upon leaving Belarus. With the stamped paper, one can go forward towards the last barrier. The officer there just takes the paper, checks that you have completed the controls, and lets you into Belarus. It would be nice to believe that there's a Geiger counter to check for stuff which is radioactive from the Chernobyl accident, but it's unclear if this is used in practice - it's not done in any obvious way. On leaving Belarus, one has to pay a special "environmental" tax before being allowed to enter the border control area. It costs €1, and in Brest is sold in a large building just before the border on the right. Taking a bus from any border of the country of Belarus is easy. From Tallinn, Estonia, there are direct buses to Minsk. From Baltic countries: Olimp, Nordeka, Eurolines, Ecolines. Taking the bus from Vilnius to Minsk takes 4 hours and is a fairly comfortable ride, as long as you stick to western international carriers such as Eurolines. From Kaunas you may travel to Minsk by Kaunas based Kautra company. It's advisable and cheaper to book tickets in advance by internet here. Journey takes about 5.5 hours. Buy your ticket in advance. Before beginning travel to Belarus remember to check that all your papers are in order meaning you have valid visa & Belarus state travel insurance for your trip. 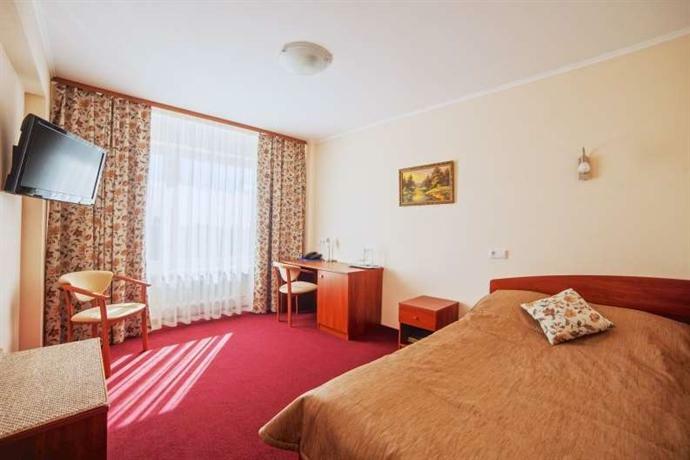 For example quick, easy and comfortable way to begin trip is to begin trip from one of the Baltic cities that have Belarussian embassy or consulate. Belarus shares many rivers with its neighbouring countries, so it's no big surprise that in Belarus each major city has a riverport and possibilities for river cruises. The easiest way to check departure times, routes and availability is to call Belarussian River Steamship Company and/or Belarusian tourist companies. It is recommended to make cruise inquiries by phone. If you cannot reach one number it is good to call other numbers that company has (phone numbers and e-mail addresses can frequently change in Belarus). Belarusian border crossing cruises are such as from Belarus, Polotsk into Latvia's Daugavpilis and Poland's Augustow chanel. Augustow chanal cruises departure from Belarusian city called Grodno and the route is via Neman river. Kayak paddling, rowing and canoeing are popular hobbies in Belarus. In some cases with special pre-planning and preparations with the authorities and tourist agents one can cross the border also by canoeing. Pererov-Bialowieza./Belovezhskaya Pushcha National Park is the only border crossing for hikers and cyclists. If you're at one of the double town crossings, e.g. there may be some places where you can cross by foot - e.g. because you're on the last day of your Belarus visa and you want to be sure not to overstay - but more likely you'll have to befriend some people in a car who will adopt you for a few hours and will (implicitly) pretend that you're travelling with them. The border guards have no problem with this. Remember that the people in the car are taking a risk as well as you - as far as they know you might be a National Endowment for Democracy agent who will be discovered by the Belarus border guard and get them into trouble. So if they are Belarusians and they ask for a fee of US$5 consider it fair. See the section By car above for what happens in your adopted car. Belarus is not a large country, and a traveller can reach from one side of its border to the other in less than a day. Travelling by car will get you far, since the infrastructure in Belarus was well developed after World War II. Gasoline is relatively cheap by European standards; 1 liter of petrol costs 1.37 BYR (July 2018), with the price fixed by the government at all fuel stations on a daily basis. You can rent cars in Minsk at the airport or city from the major international rental chains or smaller local companies. There are many taxi companies. Yandex Taxi, which can be accessed via its mobile app or the Uber mobile app, is the most popular and offers good prices if booked via the app. Travelling by train around the country will get you to a lot of desired destinations relatively cheap and fast. Timetables for all means of transports can be found here and for trains of course on the site of the Belarusian railway. Also, you will get a chance to capture a glimpse of Belarusian nature, as the forests and plains often start right on the edges of the cities. The country is mostly flat. Train tickets can be bought in advance (usually 60 days in advance) on the Belarusian railway Web site. If your ticket includes an e-registration, you can print your ticket and directly board the train. If your ticket does not include the e-registration, you must first exchange it for another ticket at the station counter. Inter-city buses are cheap, relatively comfortable and relatively punctual but may be more expensive and less comfortable than trains. Bus schedules can be found online here and [here. Note that some buses sell out, so it is better book the tickets in advance. They can be purchased in bus stations. Little minibuses (known as a ???????? ?, marshrutka), typically painted yellow, are generally cheaper than buses. Seats on inter-city ones can be reserved by phone or by walking up and paying cash. Belarusian and Russian are the two official languages. Both languages are part of the Slavic language family and are closely related, and there are many similarities between the two languages. Russian, in general, is more widely spoken by the population. According to the 2009 census, 53.2% of Belarusian residents considered Belarusian to be their native language and 23% predominantly speak it at home. Others speak Russian. It will be difficult to get by without some Russian or Belarusian. Polish is spoken in the western parts, especially around Grodno. But most local Poles use their own dialect with Belarusian as the base and with only some Polish words and sounds. English, on the other hand is not widely spoken in Belarus, but use is starting to increase. Younger people often speak some English, but older people rarely do. The appeals of Belarus are little known to the average traveller, but the off the beaten track character of this unfamiliar country is exactly what makes it special to the ones that make it here. Much of the historic heritage was lost to World War II violence or to post-war communist planning, but there's more to see than one might expect at first glance. Take Minsk, the country's surprisingly modern yet fiercely Eastern European capital, bustling with nightclubs and modern restaurants but simultaneously a monument of Communist architecture and city development, as it had to be reconstructed completely in the war. It's home to the fine Belarus State Museum, the Independence Square (where democratic protests make world news every so many years), the former KGB Headquarters but also the humbling Zaslavsky Jewish Monument. Far more western is the border city of Brest, where you'll find the 19th century Brest Fortress, the site of a long and severe Operation Barbarossa battle and a monument of the Soviet resistance against the Germans. There are four World Heritage Sites to see, although one, the Struve Geodetic Arc which provided the basis for the first meridian measurement, offers little more than an inscription to see. Of more interest for visitors however, are the late medieval Mir Castle Complex and the Nesvizh Castle of the same time. They are the best of the country's castles, but a few more can be found if you're interested. For a glance of 19th-century life, head to the Dudutki Open Air Museum. Situated near the sleepy, dusty village of Dudutki, this place brings traditional crafts, such as carpentry, pottery, handicraft-making and baking to life in old-style wood-and-hay houses. The fourth World Heritage Site is a natural one. The primeval Bia?owie?a Forest covers part of both Belarus and Poland, with the Belarus side known as Belovezhskaya Pushcha National Park. Few foreign visitors make it here, but the park is home to European bison, goose and other wildlife, and there's a small museum. Other good picks for a natural experience are the Pripyat Reserve and the Braslau Lakes. Watch football ie soccer at FC Dinamo Minsk, who play in the Premier League, the top tier of Belarus football. Their home ground is Traktor Stadium, capacity 16,500, some 3 km southeast of city centre. The national currency is the New Belarusian Ruble, denoted as p (ISO code: BYN), also known as the "third ruble". The first post-Soviet ruble is debased x 1000 and basically worthless. The second (marked with 2000) is still exchangeable. Within Belarus, you can buy rubles (but seldom western currencies) from ATMs using western credit or debit cards. You can also change US dollars and euros into rubles and vice versa at exchange kiosks in main railway stations and big city centres. Convert leftover cash before you leave, as changing rubles outside Belarus will be difficult and poor value, except in the bordering post-Soviet countries of Lithuania, Latvia and Moldova. Exchange kiosks will not exchange notes that are damaged or marked, or may charge extra commission for doing so. Most larger supermarkets, stores and hotels have credit card terminals, but smaller shops often do not. Visa and MasterCard are accepted, but American Express is not. Prices are typically much lower than in Western Europe, especially for supermarket food and the service industry. The tipping situation is not particularly clear. You are not expected to tip in most situations, but in restaurants (especially higher-end), service charges may not be added to your bill; in that case, add around 10%. In a nutshell: potatoes, pork, beef, bread. If you are looking for a national gourmet meal - you are in the right place. Most of the products and ingredients are organic, and radiation levels are constantly checked in the food to avoid contamination. Modern Belarusian cookery is based on old national traditions, which have undergone a long historical evolution, with similarities to the Russian cuisine. But the main methods of traditional Belarusian cuisine are carefully kept by the people. Common in Belarusian cuisine were dishes made with potatoes, which are called "the second bread". The Belarusians bring fame to their beloved potato in their verses, songs and dances. There are special potato cafes in the country where you can try various potato dishes. Potato is included in many salads and it is served together with mushrooms and/or meat; different pirazhki (patties) and baked puddings are made from it. The most popular among the Belarusians is traditional draniki (known as "latkes" to North Americans, but eaten only with sour cream, never apple sauce), thick pancakes prepared from shredded potatoes. The wide spread of potato dishes in Belarusian cuisine can be explained by natural climatic conditions of Belarus which are propitious for growing highly starched and tasty sorts of potatoes. Meat and meat products, especially pork and salted pork fat, play a major role in the diet of Belarusians. One of the people's proverbs says: "There is no fish more tasty than tench, and there is no meat better than pork". Salted pork fat is used slightly smoked and seasoned with onions and garlic. Pyachysta is one of the traditional holiday dishes. This is boiled, stewed or roasted sucking pig, fowl or large chunks of pork or beef. Dishes prepared from meat are usually served together with potatoes or vegetables such as carrot, cabbage, black radish, peas, etc. It is characteristic that many vegetable and meat dishes are prepared in special stoneware pots. Among fish dishes, the Belarusians prefer yushka, galki and also baked or boiled river fish without special seasonings. In general, the most common seasonings are onions, garlic, parsley, dill, caraway seeds and pepper; they are used very moderately in Belarusian cookery. The national dishes are hearty and tasty nonetheless. Among the fruit and vegetable choices are fresh, dried, salted and pickled mushrooms, and berries such as bilberry, wild strawberries, red whortleberry, raspberries, cranberries and some others. Of flour dishes, the most popular is zacirka. Pieces of specially prepared dough are boiled in water and then poured over with milk or garnished with salted pork fat. The Belarusians prefer to use whole milk, which affected some methods of making yoghurt and the so-called klinkovy cottage cheese. In Belarusian cuisine, milk is widely used for mixing in vegetable and flour dishes. Signature dishes include Draniki, Potato babka, Knish, Pyachysta and Zacirka. There are several foreign chains in Belarus including McDonald's, KFC, and TGI Friday's. There are also French, Italian, and Asian restaurants. Pizza is a very popular dish at many restaurants. Typical non-alcoholic drinks include Kefir, which is a sort of sour milk, similar to yogurt, Kvas and Kompot. Vodka (harelka), bitter herbal nastoikas (especially Belavezhskaja) and sweet balsams are the most common alcoholic drinks. Krambambula is a traditional medieval alcoholic drink which you can buy in most stores or order in a restaurant. It's a pretty strong drink but its taste is much softer than vodka. Medovukha (or Myadukha) is a honey-based alcoholic beverage very similar to mead. Sbiten is a combination of kvass, another common soft alcohol drink, with honey. Berezavik or biarozavy sok is a birch tree juice which is collected in March from small holes in birch tree trunks with no harm to the plants themselves. There are several variations of this very refreshing alcohol-free drink, which is a good thirst-quencher in hot weather. Don't leave valuable items, such as computers, mobile phones, or wallets/cash in hotel rooms as there have been reports of thefts by housekeepers. Russian language courses at the Belarus State Economic University  and the Minsk State Linguistic University . Belarus has a moderate level of crime. Fortunately, crimes against foreigners are rare, though criminals have been known to use force if met with resistance from victims. Common street crime, such as mugging and pickpocketing, occurs most frequently near public transportation venues, near hotels frequented by foreigners, and/or at night in poorly lit areas. In many areas, you should be especially alert in metro and bus stations, as criminals have a likely chance in attacking you. Avoid visiting night clubs and discothèques, as these are operated by criminal gangs willing to search for greater money, but street-level organized criminal violence is rare and does not generally affect expatriates. Cyber-crime of all kinds is well-developed in Belarus. Merchandise orders with fraudulent credit cards, ID theft, hacking, blackmail schemes, and Nigerian-style advanced fee fraud are gaining in popularity. If you are doing business with persons or firms in Belarus electronically, you should proceed with extreme caution. Not only is electronic fraud common at ATMs and grocery stores, serious injuries have been inflicted during assaults at street-side ATMs. If you participate in a street demonstration with political banners, expect to be detained within minutes. How fast you get out (24 hours or 24 days) depends on your connections, your social status, etc. Westerners especially should avoid any political discussions, protests, etc., due to the government's keen opposition to dissenting views. Belarus is still largely a discriminatory society. Gay and lesbian travellers face widespread discrimination in Belarus, as do Jews. If you are in any of these categories, exercise caution if you decide to travel to Belarus. Many demonstrations can be identified by seeing a red and white banner: a white background, with a strip of red going horizontally across in the centre, forming a white/red/white flag. If you see this flag, do your best to stay away from the demonstration. Avoid clapping your hands in public, as it is a gesture often used by opposition demonstrators to mock the government. Security personnel may at times place you, as a foreigner, under surveillance; hotel rooms, telephones, and fax machines may be monitored, and personal possessions in hotel rooms may be searched. Taking photographs of anything that could be perceived as being of military or security interest may result in problems with authorities; these sites are not always clearly marked and the application of these restrictions is subject to interpretation. Visible and hidden dangers exist, including potholes, unlighted or poorly lighted streets, inattentive and dark-clothed pedestrians walking on unlighted roads, drivers and pedestrians under the influence of alcohol, and disregard for traffic rules. Driving in winter is especially dangerous because of ice and snow. Drivers are urged to exercise caution at all times. The KGB in Belarus has not changed its name since the days of the Soviet Union - it is still called the KGB, and its habits have probably not changed much either. Some ethnic Polish journalists and journalists with Polish citizenship had hassles with the authorities (ranging from being refused entry to a dozen or so days in prison) during 2005. If you have a Polish sounding name, you had better have good evidence that you're not a journalist. Belarus police organizations are well trained and professional, but severely restricted by an unreformed Soviet-era legal system, corruption, and politicization of the police force and other government authorities. Due to low salaries, it is not uncommon for officers to collect bribes during traffic stops. Sophisticated criminal investigations are often inconclusive because of a lack of resources and/or political will. Belarusians are extremely clumsy drivers. Toilets are very frequent in Belarus; however, they are usually neither free, nor adapted to wheelchairs. Also note they rarely have available paper (except perhaps in touristy places such as museums), and are often squatting-style. Belarus had historically maintained an excellent healthcare system, but the aftermath of the 1986 Chernobyl disaster severely damaged the medical care system. Medical care in Belarus is as a result neither modern nor easily accessible, which is made even harder for those who do not speak fluent Russian or Belarussian. Ambulances are poorly equipped and unreliable; a wait time of 30 minutes or more is not unusual. The fastest way to secure Western-level care is medical evacuation to the European Union. Tuberculosis (TB) is an increasingly serious health concern in Belarus. Consider consulting with a doctor about getting vaccinated before traveling to Belarus. The impact of the Chernobyl disaster on the food chain is an ongoing study. Food inspectors check food not only for bacterial contamination but also its radiation levels. Most food is considered safe, except if sourced from the banned regions within 50km of the Chernobyl plant itself or the second hotspot around the intersection of Russian, Ukrainian and Belarussian borders. Tap water is not safe for drinking. Buy bottled water. Since Belarusian, Ukrainian and Russian cultures are very close and thus share much in common, many of the same principles of behaviour that can be applied to Russians and Ukrainians, are also applicable to the Belarus populace. Be sure to recognize the Belarusians as a nation in their own right. They are not Russian. There are 3 major GSM providers in Belarus, all of which offer prepaid SIM cards for Internet access and phone calls. You will need to show your passport at the point of purchase. All 3 service providers have plans geared for tourists that cost around 15 BYR and provide around 2GB of data, with more available for purchase at additional cost. At places with free Wi-Fi, you will need to enter your cell phone number to receive a validation code via SMS. Petty crimes such as pickpocketing, purse snatching and mugging occur, particularly in the cities of Minsk, Grodno, Brest, Gomel, Mogilev, and Vitebsk. Such crimes are especially common after dark in and around hotels and hostels frequented by foreigners. Theft is common on trains, particularly on sleeper trains. Be vigilant when crossing the border with Poland at Brest due to the risk of mugging. Theft of luxury cars is common. Park your vehicle in a secure location or guarded lot and always keep valuables out of sight. Demonstrations periodically occur in the capital, Minsk, and other major cities in Belarus, following the presidential elections held in December 2010. Clashes with police occur and hundreds of people, including passers-by, have been detained, fined or sentenced to jail terms. Avoid all demonstrations and large gatherings as they have the potential to suddenly turn violent. Follow the advice of local authorities and monitor local media. On April 11, 2011, an explosion took place in a Minsk subway station, killing 14 and injuring more than 200 people. You are advised to use extreme caution when using the public transportation system. Automated banking machine (ABM) card and credit-card fraud is common. Use these cards only at ABMs located inside major banks. If you use a credit card for payment, pay careful attention when it is being handled by others during payment processing and check your statement frequently for fraudulent use. Never leave food or drinks unattended or in the care of strangers. Be wary of accepting snacks, beverages, gum, or cigarettes from new acquaintances, as they may contain drugs that could put you at risk of sexual assault and robbery. Many adult clubs are managed by organized crime. Roads are generally in good condition; however, many may be impassable in winter. Drivers generally have little regard for traffic regulations and do not follow safe-driving practices. Horse-drawn carts are a common road hazard in rural areas. Radar traps are widespread. 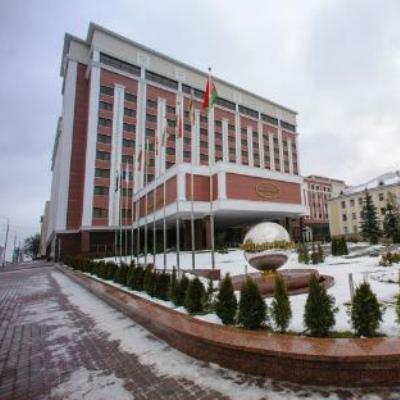 The Belarusian government may enforce a requirement for special permits to travel in “protected border zones.” Information defining the parameters of those zones has not been provided. Be alert for warning signs, road barriers or border-guard posts. Do not cross into such areas without permission. Use only officially marked taxis and do not share them with strangers. Fares vary greatly and vehicles are often poorly maintained. Buses and trolleys are poorly maintained and are usually crowded and unheated. Exercise caution when travelling by train, especially on sleeper trains to Warsaw and Moscow. Store valuables in a safe place and do not leave your compartment unattended. Ensure that the door is secured from the inside. Ensure that your personal belongings, passports and other travel documents are secure at all times. Avoid showing signs of affluence and carrying large sums of cash. Always be aware of your surroundings. Tourist facilities are limited and only available in the larger cities. Security authorities may place foreigners under surveillance. Hotel rooms, telephones, fax machines and e-mail messages may be monitored. 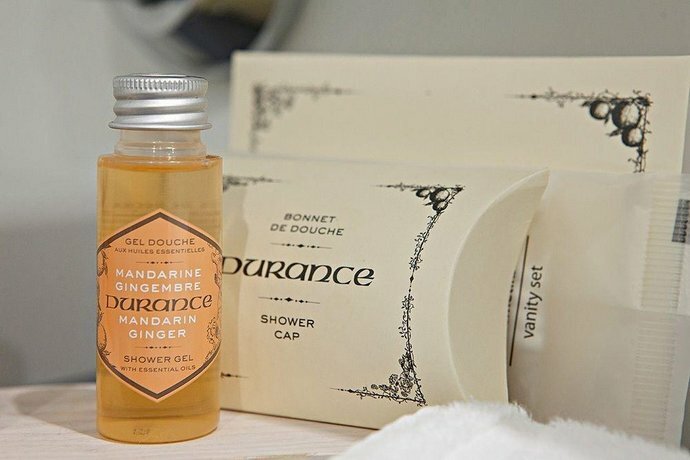 Personal possessions in hotel rooms may be searched. Foreigners have been expelled from the country for working with Belarusian civil-society groups. Dial 101 to reach fire fighters, 102 for the police and 103 for an ambulance. Medical care is limited and not up to Western standards. Private medical and dental offices can be found in the larger cities. In the event of a serious accident or illness, medical evacuation will be necessary. Many parts of Belarus were contaminated by the 1986 Chernobyl nuclear accident, particularly the south valley of the Prypeć River and the vicinity of Gomel and Mogilev in the east. Avoid dairy products and locally grown fruit and vegetables as they may carry high levels of radiation. A serious violation may lead to a jail or death sentence. The sentence will be served in local prisons. Naturalized Canadians do not automatically lose their Belarusian citizenship and are subject to Belarusian laws regarding citizenship and military service. Always carry your passport, visa and migration card as you may be asked to prove your identity and date of entry into the country. Failure to provide internationally recognized identification could result in detention. Penalties for possession, use or trafficking of illegal drugs are strict. Convicted offenders can expect lengthy jail sentences. Photography of military installations, public buildings and monuments may result in a penalty. Seek permission from local authorities before taking photographs. Homosexual activity is legal but is not widely accepted in Belarusian society. When travelling by private vehicle, you are required to show ownership documents or a “power of attorney” letter at border crossings. These documents must be translated into Belarusian and certified at a Belarusian embassy. Third-party car insurance is mandatory and can only be purchased upon entry into Belarus. Drivers of foreign vehicles must pay a fee to use Belarusian highways. Payments are collected at border checkpoints and vary according to the length of stay. Tolls are collected on major highways and payment is required in a foreign currency (euro, U.S. dollar, or Russian ruble). Vehicles must have their lights on at all times from November 1 to March 31. There is zero tolerance for driving under the influence of alcohol. The currency is the Belarusian ruble (BYB/BYR). 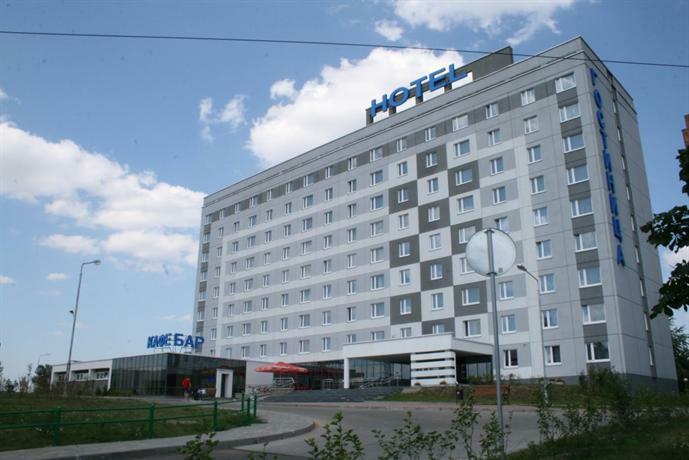 Credit cards are accepted by many hotels and stores, especially in Minsk. However, beware of credit-card fraud. Automated banking machines (ABMs) are available in major cities to withdraw rubles. Traveller’s cheques are not accepted for payment but can be exchanged at a bank for rubles. You must pay for goods and services in Belarusian rubles. The use of foreign currency in cash transactions is prohibited; you can face arrest if you attempt to buy an item with currency other than Belarusian rubles. Exchange foreign currency at government-licensed booths only. A valid passport must be presented to purchase foreign currency. When crossing one of the external border control points of the European Union (EU), you must make a declaration to customs upon entry or exit if you have at least €10,000 or the equivalent in other currencies. The sum can be in cash, cheques, money orders, traveller’s cheques or any other convertible assets. This does not apply if you are travelling within the EU or in transit to a non-EU country. For more information on the EU legislation and links to EU countries’ sites, visit the web page of the European Commission on cash controls. This destination is not prone to natural disasters.